Star Trek is in pretty good health at the moment, with Discovery currently enjoying an excellent second season and many new projects in the pipeline. 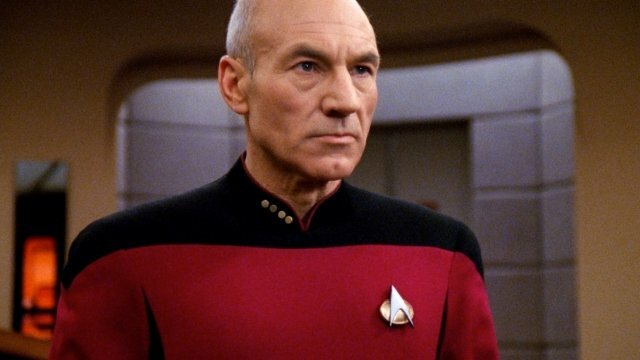 By far the most exciting, though, is the Captain Picard series, which will see Patrick Stewart reprising his role as Jean-Luc Picard for a show that’ll bring us some mysterious new adventures. Right now, they’re still in the pre-production stage, but we’ve recently heard a bit about Picard’s mindset at the time of the show and learned who some of the supporting characters will be. And at a recent PaleyFest panel for Star Trek: Discovery, producer Alex Kurtzman offered a few small updates on where the Picard series is currently at and what they’ve got in mind for it. To begin with, he revealed that when he heard Stewart read the first episode, it almost brought him to tears. This is all pretty exciting to hear, and though the series may come at the expense of another big-screen appearance for Patrick Stewart’s Star Trek hero, given that the three-season run will be keeping him incredibly busy for the foreseeable future, we’ll take what we can get. After all, Trekkies have spent decades demanding a fully-fledged TV series based on Picard’s twilight years and it’s certainly sounding like Kurtzman and his team are going to deliver with this one. It might still be early, early days for the project, but with pre-production now underway and shooting expected to begin towards the end of next month, we should learn more about what CBS has planned in no time at all. As always, watch this space for more.